Our form below will help you easily calculate how many comments you need to purchase. Simply enter the number of posts you want to purchase and how many comments per post you want to receive automatically. 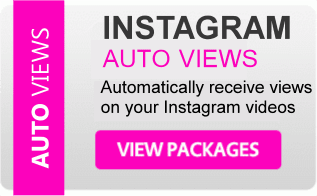 Our new, Automatic Instagram Comments service is an affordable solution for customers who want the benefit of receiving comments automatically on their future Instagram posts. 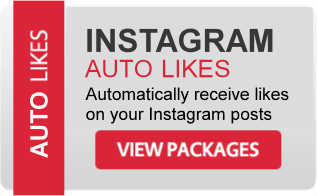 Our Automatic Comments service sends random comments to your new posts within minutes of you posting to Instagram. For example: Bob wants 7 comments to be sent to his next 20 Instagram posts. After the 20th post the system will mark his order complete. Warning: Our system will scan your account every 5-15 minutes to look for new posts. Once it finds a new post, it will add your auto comments order immediately to the queue to be processed. During peak times of the day, delivery of comments can be delayed up to 1 hour or more. If you delete a post after our service has added it to the job queue, you will NOT BE CREDITED for the deleted post. Your comments never expire, so no matter if you use up your comments in a day, week, month or six months, you can rest assured that your future posts will be covered. Please note: comments are not delivered by real people. How to Order: Our form above will help you easily calculate how many comments you need to purchase. Simply enter the number of posts you want to purchase and how many comments per post you want to receive automatically. Enter the calculated number in the Quantity field at the bottom of the form. jicqvwn Help us prevent SPAM!